UPDATED, April 4, 3:06 p.m.: The Arts District’s newest tenant has found itself a new — but familiar — landlord. Access Industries, the parent company of Warner Music Group, paid $195 million to acquire the recently-renovated Ford Factory building, The Real Deal has learned. The deal works out to about $720 per square foot. Bank of America provided a $135 million acquisition loan, public records show. Shorenstein was the seller on the deal, which closed last Friday. The purchase comes on the heels of Warner Music’s highly anticipated move into the 271,000-square-foot landmark building. The company relocated from its Burbank office last month, roughly two-and-a-half years after signing a lease with Shorenstein for the location at 777 Santa Fe Avenue. A representative for San Francisco-based Shorenstein did not immediately respond to requests for comment. Access declined to confirm the purchase price. The real estate investment firm bought the property for $35 million in April 2014, property records show. It signed Warner Music as a tenant in October 2016, helping spur a revitalization in the area that would attract Spotify and coupon startup Honey. Shorenstein then embarked on a $50 million renovation of the landmark property, once used as Ford’s Model T factory and showroom. Designed by Rockefeller Kemper Architects and Rockwell Group, the refurbished space is now designed for Warner Music, and features recording studios, artist lounges, a live performance space and rooftop deck. 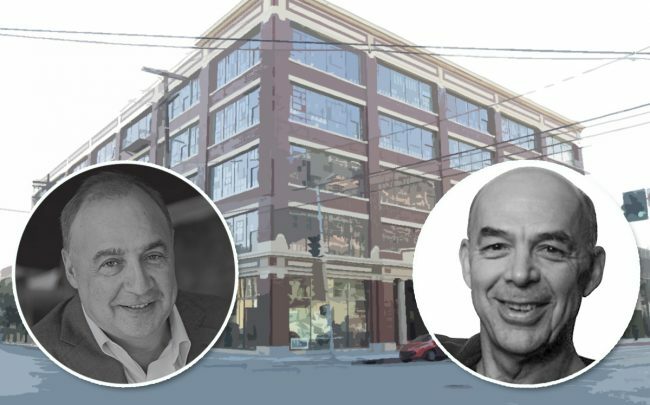 New York-based Access, led by Len Blavatnik, acquired Warner Music in 2011. The company also owns Faena Group, an Argentinian real estate firm, as well as a stake in the iconic Sunset Tower hotel.